Cold transportation containers make it safe to send fresh foods around the world without risk of spoilage. They also safely get perishable drugs and medicines to areas of need in a timely manner. But once they get there, they must be stored in a key link in cold chain logistics – cold storage and refrigerated warehousing. Refrigerated containers. These offer a cost-effective option for cold storage of small amounts of items. They can be fixed or mobile. Blast freezers and chillers. These are used to quickly cool and store food before it goes to the end consumer. They are often used by large restaurants and catering firms. Cold rooms. These are simply larger versions of refrigerated containers, blast freezers and chillers. Pharmaceutical-grade cold storage. Hospitals and research sites are the main users of these facilities. This type of cold storage provides special features needed to protect drugs, blood, vaccines and other health products. Plant-attached cold storage. These are built as part of a manufacturing plant. Finished products are moved directly from the shop floor into the storage plant via conveyor belts. Dedicated custom storage. Provided by outsourced cold storage vendors, these are used for complex or expensive cold storage needs. Cold storage is the process of storing biodegradable products in a manner that prevents them from decaying or spoiling. It also allows companies to comply with government laws and regulations. Companies that make or package cold storage products often have their own cold storage facility. This protects the items until they are shipped to distributors and end users. At the other end of the supply chain, many end users also have their own cold storage facilities. This protects the items until it is time to use them. Cold storage is a highly regulated industry. It also costs more to store and ship perishable items. As a result, many companies outsource their cold storage needs to a third-party logistics provider. The vendor controls the storage of the items until they are shipped to the end user. As an industry, cold storage faces many challenges. Profit margins tend to be low. Customers often want value-added services such as repack operations. They also tend to have stringent demands for pallet building and traceability. To maintain profit margins, cold storage vendors must work hard to streamline their facilities and workflows. Cold storage customers also have diverse needs. This makes it hard for cold storage vendors to make a profit with “one-size-fits-all” warehouses. Instead, many provide custom cold storage that offers value-added services to meet the unique needs of their customers. This requires charging higher prices to maintain healthy profit margins. The diversity of cold-storage products. These can range from perishable food and health products to flowers, plants, pharmaceutical products and even artwork. These products require different temperature ranges. Their shelf lives can vary widely. Some products require very short transit times to prevent spoilage. They all have diverse regulatory requirements. Energy costs. It takes a lot of energy to keep a warehouse at cold temperatures around the clock. Even with modern, high-tech doors and insulation, there is always a loss of energy, which raises the cost of operations. The cold storage industry is always evolving. One current change is the growing number of regional distribution centers. Thanks to e-commerce, small companies can now sell their products in distant areas. This has led to an increase in redistribution services that repalletize products and ship them to widespread markets. This, in turn, has led to more regional distribution centers that can get cold-storage products where they need to go in a timely manner. These centers often rent normal warehouse space in a central location and turn it into a cold storage environment. Another current trend is the increase in business buyouts. As big cold storage firms buy up the smaller ones, the number of players in the market declines. Customers end up with fewer choices. 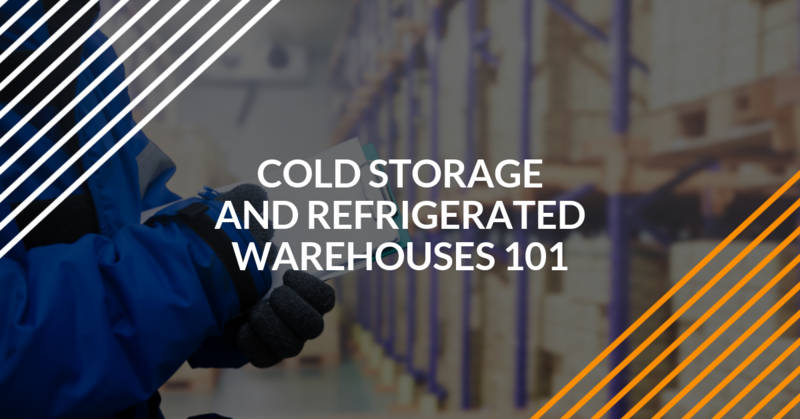 But the need for bigger companies to cut costs and operate more efficiently is paving the way for more consistent cold storage engineering standards. Many cold storage firms are finding it harder to hire skilled workers, including truck drivers. This is leading to more perks and better benefits to attract and retain workers. New technologies are enabling cold storage companies to design and build better cold storage facilities. These include laser technology, virtual reality and 3D modeling. More companies are using packaged refrigeration to keep their facilities cold. This enables them to lower costs while improving quality and safety. Driving a forklift in a cold storage plant requires skilled operators. Keep your people and your products safe by training and certifying your truck drivers at forkliftcertification.com.